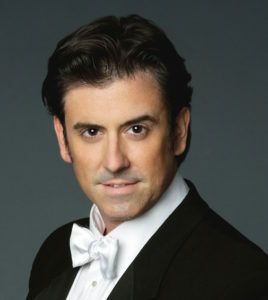 CENTERBROOK –- Community Music School presents a masterclass with local opera star Brian Cheney on Sunday, Nov. 20, from 4 to 6 p.m. Cheney will coach participants on intermediate/advanced vocal technique and performance practices in a wide range of genres, including opera, classical, Broadway, jazz, and even pop. The masterclass will be hosted at the Centerbrook Meetinghouse and the cost is $15 per person. This event is open to the public and advance registration is requested. For additional information and to register, visit www.community-music-school.org/brian or call860-767-0026. Cheney has performed numerous times as a soloist at Carnegie Hall with his most recent performance performing a world premiere and US premiere of Hungarian music with the American Symphony Orchestra under the baton of Maestro Leon Botstein. In 2011, Cheney also made his Lincoln Center debut as tenor soloist for the 10th Anniversary of 9/11 at Avery Fisher Hall appearing with acclaimed soprano, Jessye Norman. A now frequent soloist at Lincoln Center, Cheney will return this season for the popular New Year’s Concert, Salute to Vienna. Engagements in 2016 include Rodolfo in La Boheme with the Windsor Symphony and Norwalk Symphony Opera and Tenor Soloist in Salute to Vienna at Lincoln Center. AREAWIDE — The Estuary Regional Senior Center at 220 Main St., Old Saybrook, has a Ballroom Dance Class that meets Thursday evenings at 6:30 p.m. The six-week class is $10 a class or six classes for $50. It is a fun way to spend an hour and you can join with or without a partner. AREAWIDE — The Estuary Senior Center is holding its annual Holiday Craft Fair on Saturday, Nov. 19, from 8 a.m. to 1 p.m. All ages are welcome. Local artisans will be selling jewelry, Barbie and American Doll clothing, ornaments, fairies, baby quilts, scarves, photographs, art work, snowmen, candles, sculptured rope baskets and bags, and more. New this year, a hot breakfast will be available for purchase from 8 to 11 a.m. and Santa will be making an appearance from 9 to 11 a.m. for photo op’s. Come shop ’til you drop and support local artisans – shop local! lt serves Chester, Clinton, Deep River, Essex, Killingworth, Lyme, Old Lyme, Old Saybrook and Westbrook. “Where To?” by Claudia van Nes is one of the signature paintings of this year’s Holiday Show at the Maple and Main Gallery. CHESTER – The opening party for the Holiday Exhibit at Maple and Main Gallery is Saturday, Nov. 19, from 6 to 8 p.m. with wine, appetizers, desserts and music by artist/musician Alan James. From luminous landscapes to abstract collages, marine scenes to scenes from the creators’ imaginations, the show features over 200 paintings and sculptures by 54 established artists from all corners of Connecticut. In Maple and Main’s Stone Gallery during November is a show of intriguing photographs by members of the Connecticut Valley Camera Club. 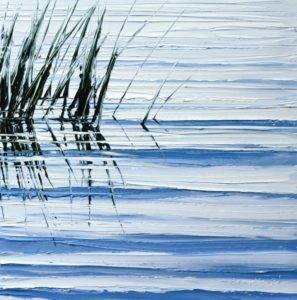 Gallery artist Janine Robertson will be featured in a solo show in the Stone Gallery during December. The Holiday Exhibit runs through Jan. 22. Maple and Main Gallery, at One Maple Street, is open Wednesday and Thursday from noon to 6 p.m.; Friday and Saturday, from 11 a.m. to 7 p.m. and Sunday from 11 a.m. to 5 p.m. Mapleandmaingallery.com; 860-526-6065; visit us on Facebook and Instagram. AREAWIDE — The Early Childhood Council of Essex, Deep River and Chester will be hosting a Children’s Health Fair and Preschool Expo on Saturday, Nov. 19 from 10 a.m. to noon at Chester Elementary School. All families of young children (newborn to six) are invited to attend for fun activities, healthy snacks from Adam’s Hometown Market and helpful resources from Tri-Town Youth Services, Shoreline Speech Therapy and Valley Shore YMCA. Siblings are welcome. There will be children’s yoga at 10:30 and 11 a.m. Essex Lion’s Club will be offering vision screenings and there will be a children’s ID booth. The Region 4 preschools will each be represented at the Expo, so this will be a great time for families to learn more about the schools and meet the staff. The Early Childhood Council serves the communities of Essex, Deep River, and Chester. Its mission is to heighten awareness of the educational needs facing three-, four-, and five-year-old children. 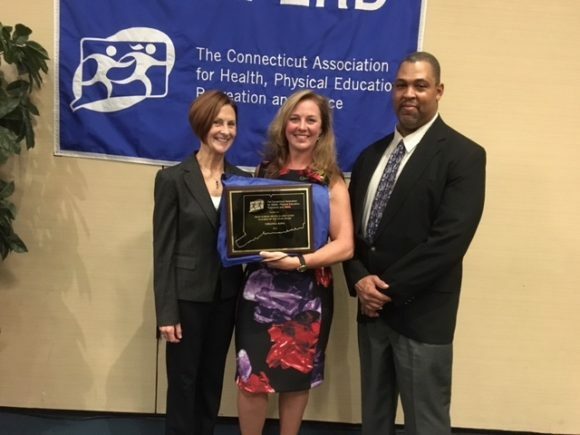 The Council is dedicated to providing resources to parents and to the early childhood educators of Connecticut’s public school district Region 4, ensuring seamless communication among caregivers. Find more information at earlychildhoodcouncilofessexdeepriverchester.yolasite.com. AREAWIDE — Tri-Town Youth Services will offer Pediatric First Aid and CPR course along with a babysitter training certificate program. This course provides an excellent opportunity to help youth, 12-17 to build self-confidence as well as job leadership and decision-Making skills. Completion of this course is a plus on your Job Bank application. The $75 fee includes instruction, books, and certificate. The winter session will be held on Wednesday evenings, Jan. 18, 25, and Feb. 1 and 8. All classes will be held 6-8 p.m. at Tri-Town Youth Services, 56 High Street in Deep River. Classes fill quickly, so register soon – online (www.tritownys.org) or by calling 860-526-3600. AREAWIDE — The Tri-Town Substance Abuse Prevention Coalition will hold its next meeting of the school year at Tri-Town Youth Services at 9 a.m. on Wednesday, Jan. 18, 2017. The Tri-Town Substance Abuse Prevention Coalition is a grassroots organization whose membership is open to all who live or work in the tri-town area who are concerned about substance abuse and committed to its prevention. Many “sectors” of the community are represented on this council: schools, youth serving organizations, law enforcement government, civic groups, parents, students, the faith community and health care to name a few. Future meeting dates are March 8, 2017; May 17, 2017. Tri-Town Youth Services supports and advances the families, youth and communities of Chester, Deep River and Essex. The organization coordinates and provides resources needed to make positive choices, reduce substance abuse, and strengthen the relationships that matter most. Discover programs and information for families, as well as opportunities for community collaboration at www.tritownys.org. 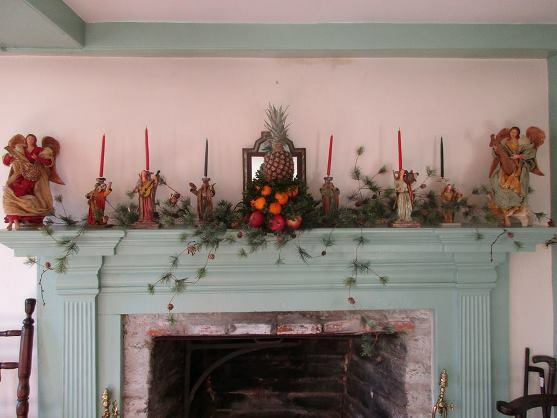 All decorated for the holidays, Essex Historical Society’s 18th-century Pratt House awaits your post-Thanksgiving visit. AREAWIDE — College students home over the Thanksgiving break? 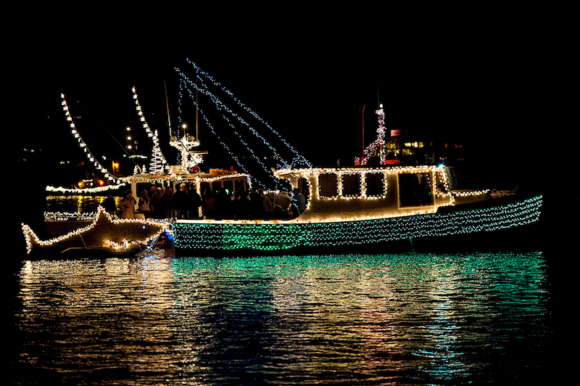 House guests who have eaten more turkey than they wanted to and looking for something to do? 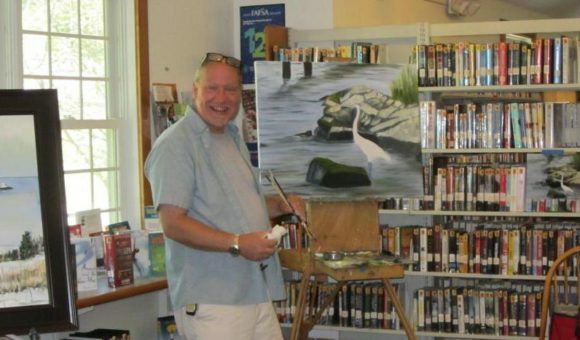 Free entertainment and getting to know more about our local towns can all be accomplished during the extended hours at the Chester, Deep River and Essex historic museums and houses. Such a welcome alternative to dealing with crowds at the malls! For the third year in a row, the historical societies of Chester, Deep River and Essex are helping you entertain your guests on the Friday and Saturday after Thanksgiving. 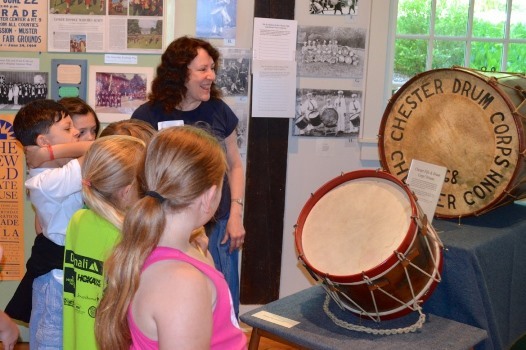 At the Chester Museum at The Mill, early drums from the Chester Fife & Drum Corps are part of the seasonal exhibit, discussed here by museum volunteer Nancy Watkins. The Deep River Historical Society’s Stone House, built by Deacon Ezra Southworth in 1840, will be open on Friday, Nov. 25, and Saturday, Nov. 26, from 11 a.m. to 2 p.m. Enjoy touring the house’s recently restored Marine Room and see the Winthrop wood planes and learn their history. Watch the preparations for the Festival of Trees, Trains and Traditions. The Stone House is at 245 Main Street in Deep River. For more information, visit www.deepriverhistoricalsociety.org. Essex Historical Society’s historic Pratt House, located at 19 West Avenue in Essex, will be open to visitors Friday, Nov. 25, and Saturday, Nov. 26, from 11 a.m. to 2 p.m. The house, which was built in stages throughout the 18th century, interprets early farm life and the nine generations of Pratt smithies, many of whom lived there. Tour the house with EHS’s knowledgeable guides and visit its newly expanded museum shop. For more information, visit www.essexhistory.org. 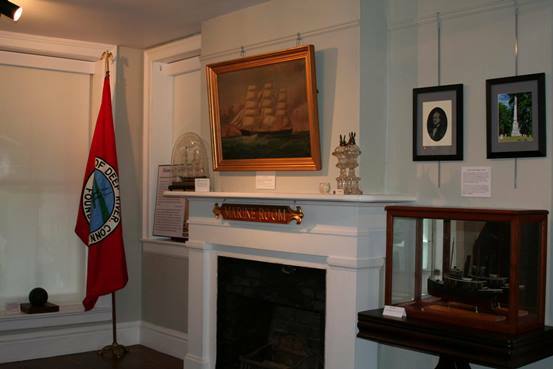 This summer the Deep River Historical Society created the Maritime Room at the Pratt House. The Chester Museum at The Mill, at 9 West Main Street in Chester, will also be open on Friday and Saturday after Thanksgiving, from 10 a.m. to 4 p.m. This year’s seasonal exhibit focuses on community organizations, such as Scouts, Fife & Drum Corps, Chester International Links, and more. For more information, visit www.chesterhistoricalsociety.org. IVORYTON: In February 2016, Laura Copland, Director of Play Development, and Jacqui Hubbard, Executive/Artistic Director of The Ivoryton Playhouse, began talks about creating a safe environment for women playwrights to workshop their plays with professional actors and directors. The Ivoryton Playhouse is excited to announce the 2017 inaugural festival of the Women Playwright’s Initiative. The workshopping festival runs from Feb. 26 to March 4, 2017. Staged readings of the winning scripts will take place on Friday, March 3 and Saturday, March 4, 2017 at The Ivoryton Playhouse, 103 Main Street, Ivoryton, CT, followed by discussions with playwrights, actors and directors. A call for one act plays went out on the League of Professional Theatre Women’s website and was picked up across the country. By the submission deadline of Sept. 15, the Initiative received 183 scripts. The scripts hailed from all over the United States and Canada, even Israel. The time constraints of one week rehearsal and two nights of staged readings permitted no more than two hour-long plays, and two shorter plays. After wrenching deliberation, thirteen plays were under consideration. Many fascinating plays with potential had to be eliminated. The small committee included Ms. Copland, Ms. Hubbard, Susan McCann, Box Office Manager at The Ivoryton Playhouse, Margaret McGlone Jennings, director, teacher and actor and Brooks Appelbaum, director and theatre critic. Four terrific plays were selected. The committee is proud of the choices and looks forward to working with the playwrights, cast, and directors in what we hope will be a successful inaugural season of the Ivoryton Playhouse’s Women Playwright’s Initiative. OLD LYME — High Hopes Therapeutic Riding is transforming its indoor arena into a holiday marketplace on Sunday, Nov. 13, for the Sixth Annual Holiday Market sponsored by Reynolds Subaru. The event begins at 11 a.m. and will feature more than 60 local vendors and exhibitors, as well as activities for the entire family including hayrides, a kids’ scavenger hunt, face painting, door prizes and raffle for a 2016 Subaru IV Crosstrek 2.0i. 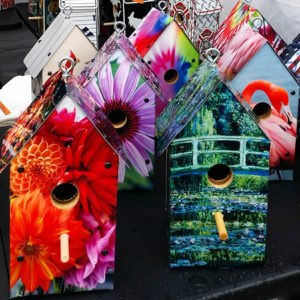 Last year more than 2,000 visitors attended the event on High Hopes’ 120-acre facility to start their holiday shopping and enjoy popular area food trucks. Items for sale include hand-made jewelry, holiday décor, pottery, crafts, skin care products, organic produce and more. This year’s gourmet and specialty food truck line-up includes Flanders Fish Market, The Rolling Tomato, The Whey Station, FryBorg, Munchies Food Truck and for dessert, Meriano’s Bakery and Cannoli Truck. For the first time at the event, attendees can see a glassblowing demonstration by Arch One Glass, and meet Garbanzo, a nine-month-old Mongolian Bankhar Dog who is trained to help nomadic Mongolian families by protecting their livestock from predators. High Hopes will hold a raffle drawing at 3:45 p.m. at the Holiday Market for a 2016 Subaru IV Crosstrek 2.0i, an Apple Watch Sport, a New York City overnight with dinner and Broadway show tickets, and a pair of Sorrel Cowboy Boots. The cost of a raffle ticket is $50, with only 1,500 being sold. Visitors are encouraged to attend the Holiday Market which raises funds that directly support the 1,538 children and adults who are served annually by High Hopes’ programs. Admission to the Holiday Market is free with a suggested donation of a nonperishable food item for the Shoreline Soup Kitchens and Pantries. 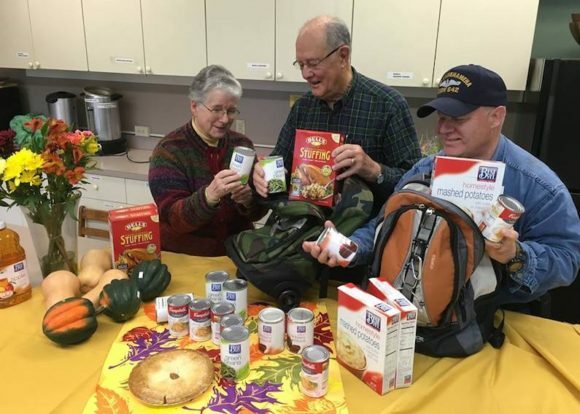 Last year, more than 2,400 pounds of food was donated to help local families who struggle with hunger. For more information about the event and to see a list of vendors, visit www.highhopestr.org, or contact Trudy Burgess at tburgess@highhopestr.org or call 860-434-1974, ext. 123. Community Music School faculty will present a concert on Nov. 13. CENTERBROOK — On Sunday, Nov. 13, members of the Community Music School (CMS) faculty come together to perform an array of chamber music and other works at 3 p.m. at the Centerbrook Meetinghouse, 51 Main St., Centerbrook. This annual event offers the community a unique glimpse into the wealth of talent and experience of the Music School’s faculty as they collaborate on a wide variety of selections. The concert is free and open to the public and a meet-and-greet reception immediately follows. At-will donations are gratefully accepted. Among the works to be performed are Sicilienne by Faure, Dances from Terpsichore by Praetorius, Tone Poem for Devin by Becker, I’ve Got a Crush on You by Gershwin, Slovanic Dance by Dvorak, Romanza by Poulenc, I Remember You by Schertzinger-Mercer, Trockne Blumen and Die Schone Mullerin by Schubert, Snare Drum Duets no.17 & 19 by Briggs, and Apres un Reve and Elegie by Faure. 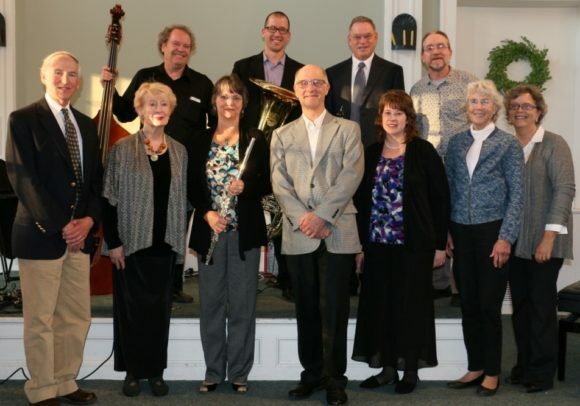 Performers include Andrew Sherwood on clarinet, Tom Briggs on piano and snare drum, Bruce Larkin on recorder, John Birt on guitar, Kevin O’Neil on guitar, Russ Becker on clarinet and bass clarinet, Audrey Estelle on piano, Marilyn Lazare on piano, Greta Moorhead on vocals, Martin Wirt on snare drum, and Christine Coyle on cello. The concert will feature several original works by Community Music School faculty, some for the first time. This concert will be the first performance played on CMS’s newly acquired Steinway grand piano. This incredible instrument was recently donated to the School by generous supporter Gregg Cook. Over 100-years-old, the piano is in impeccable condition and features a rich, full sound, perfect for the acoustics of the Centerbrook Meetinghouse. Come listen to some top-notch musicians perform on an amazing instrument. 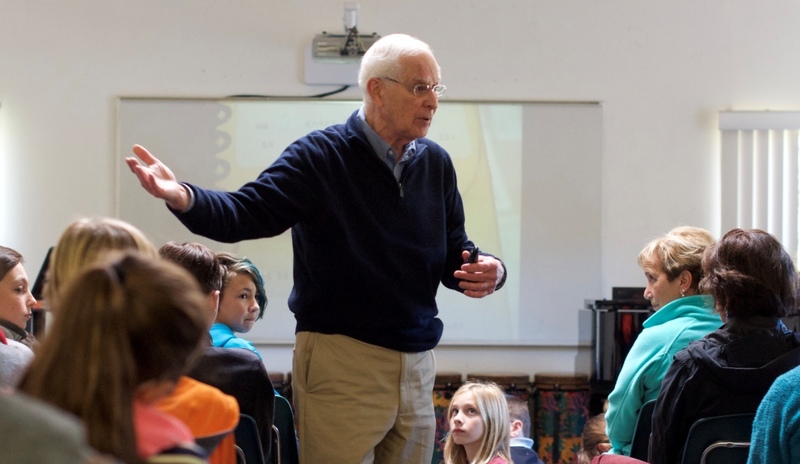 Community Music School offers innovative music programming for infants through adults, building on a 30-year-tradition of providing quality music instruction to residents of shoreline communities. The school’s programs cultivate musical ability and creativity and provide students with a thorough understanding of music so they can enjoy playing and listening for their entire lives. CHESTER — Unearth that trunk from the attic. Dig that Christmas tree pin out of your jewelry box. Take the oil painting off the wall, the family Bible out of the bookcase, the silver teapot out of the cupboard. The Chester Historical Society’s experts are returning to Chester on Saturday morning, Nov. 12 for the 13th Antiques & Jewelry Appraisal event. Now is your chance to find out what your “treasure” is really worth. All 10 appraisers are active dealers and engaged in the antiques trade, with their fingers on the pulse of the industry. 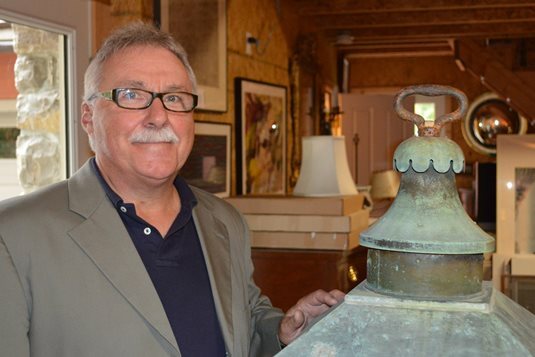 Four of them are generalists, meaning they deal with the full range of antiques. They are: Norman and Linda Legassie of Stepping Stones Antiques LLC in Old Saybrook, Peggy Maraschiello of Riverwind Antiques in Deep River, and Tom Perry of One of a Kind Antiques (www.OneOfaKindAntiques.com). The other six are: Garry Craig of The Timekeeper (watches and clocks); Orville Haberman of CT River Books (books and ephemera); Paul Indorf of Connecticut Jewelry Appraisers (fine jewelry and gemstones); John Newman of Deep River (American-made glass); Kevin Timme (silver); and Gay Sherman Weintz (vintage and antique costume jewelry). The event will be at St. Joseph’s Parish Center, 48 Middlesex Ave. (Rte. 154), Chester, from 8:30 a.m. to 12 noon on Nov. 12. You may bring up to three separate items for verbal appraisals (a collection, such as a set of silver flatware, is considered one item). If the item is too large to carry, bring photographs (if it’s a table or dresser, bring in a drawer too). The cost is $10 for the first item; $20 for two; or $25 for three. All proceeds benefit the programs and archives of the Historical Society. There is ample parking and handicapped access, and chairs and coffee for while you wait. Details about all the appraisers are at www.ChesterHistoricalSociety.org. Have questions? Call 860-558-4701 or email ChesterCTHistoricalSociety@gmail.com. 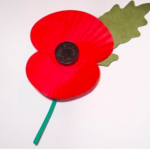 In honor of all US veterans, Essex Library presents Letter From Italy, 1944 on Saturday, Nov. 12, at 10:30 a.m. at the Essex Library. 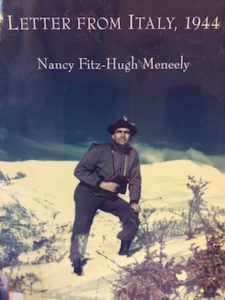 This is a soldier’s story told in poetry and music with Guilford Poet Society member Nancy Fitz-Hugh Meneely honoring her father, World War II veteran Dr. John Meneely, who served in the Army’s 10th Mountain Division. In his letters home during the war, Dr. Meneely described the dread, injury and loss that he experienced during his service; the terror and carnage proved to be more than he could withstand. Post-Traumatic Stress Disorder (PTSD) had not been defined in his lifetime but it has affected generations of veterans nevertheless. This program is free and open to all. Copies of the poetry book Letter From Italy, 1944 will be free for all veterans in attendance. Call the Essex Library to register or for more information at (860) 767-1560. The Library is located at 33 West Ave. in Essex. Ceremonies honoring our veterans will be held in Region 4 schools today. Dave Mann in his World War II uniform. 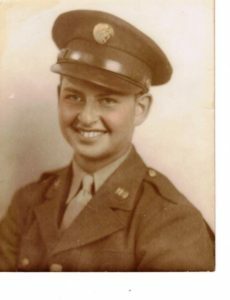 CHESTER — On Veteran’s Day, Friday, Nov. 11, from 4 to 5 p.m., World War II Veteran and Purple Heart recipient Dave Mann will share his experiences in a special Veteran’s Day talk at the Chester Village West independent seniors community. The event is free and open to the public; all veterans and their families are welcome. Chester Village West is located at 317 W. Main St., Chester, CT 06412. Mann was one of 16.1 million Americans who served in World War II. The Chelsea, Massachusetts native–who served under General George S. Patton– received a Purple Heart, as well as harrowing memories, during his time in combat. He’s wondered why he survived and others did not. But he never took his eyes and heart away from why he was there and what it all meant…and what our country still means to those serving in our armed forces today. 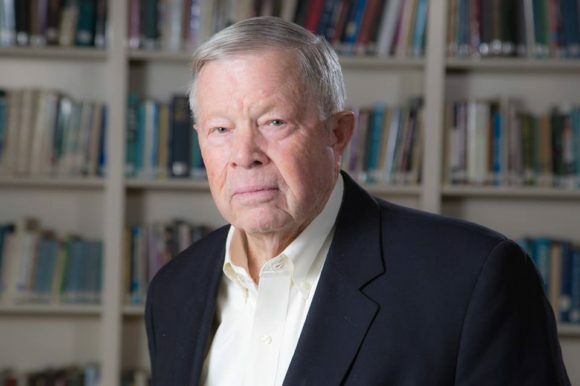 Mann’s book, “What I Fought For: An Aging Veteran’s Love Letter to America” chronicles his path from innocent teenager to “trained killing machine” on the bloody fields of Europe, then back to life as a radio broadcast professional after the war. He will offer signed copies of the book, which is available for $10, after his Nov. 11 presentation. Bob Siegrist (R). File photo. 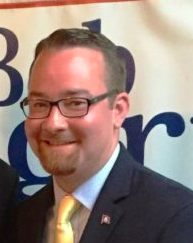 AREAWIDE — Republican Bob Siegrist of Haddam Tuesday defeated incumbent Democratic State Rep. Phil Miller of Essex in the 36th House district. The four-town vote was 6,962 for Siegrist to 6,653 for Miller, a margin of 309 votes. Miller carried the towns of Chester, Deep River and Essex, but the margins were too small to overcome a big 2,943-1,883 win for Siegrist in Haddam. Miller carried his hometown of Essex on a 2,259-1,787 vote, and Chester on a 1,206-1,008 vote. The result was closer in Deep River, which Miller also carried on a 1,305-1,224 vote. The race was a rematch from 2014, when Miller defeated Siegrist, a former bartender, on a 5,522-4,701 vote. State Rep. Phil Miller. File photo. The result reflects an end to Miller’s current political career that began in 1999 with an unsuccessful challenge to former Republican First Selectman Peter Webster in Essex. Miller lost a much closer race with Webster in 2001, but was elected Essex First Selectman in 2003 after Webster resigned to take a town manager job in Vermont. 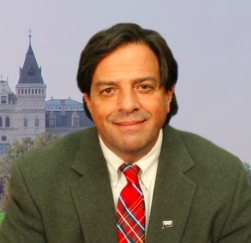 Miller served as first selectman from 2003-2011, when he was elected state representative in a February 2011 special election. Miller won a full term in 2012, and was elected over Siegrist in 2014. Miller’s plans after relinquishing his House seat are unknown at this point. 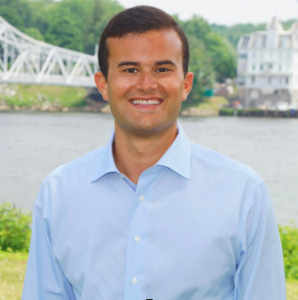 Siegrist becomes the first Republican to represent the three towns of Chester, Deep River, and Essex since 1994, when the district included Lyme and Old Saybrook, but not Haddam. 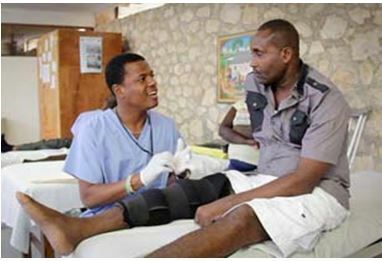 All the full-time doctors at Hôpital Albert Schweitzer are Haitian. CHESTER — Six local Rotary clubs are working together with other organizations to present a Global Collaborative World’s Faire on Sunday, Nov. 6 from 2 to 5 p.m at Congregation Beth Shalom Rodfe Zedek, 55 East Kings Highway, Chester, CT. The motto of the event is “Building Bridges across the Globe” as it seeks to bring attention and support to local efforts that serve global causes. Bring the whole family to this fun-filled celebration that will help others around the world! Individuals or groups supporting nonprofit international initiatives will showcase their efforts and raise funds and awareness for their causes. Artisan crafts and alternative gift-giving options will be available for purchase. Children who bring art work depicting the theme “Building Bridges across the Globe” will receive Rotary Happy Bucks that they can use to purchase items or donate to the charity of their choice. Admission is free. Non-profit groups will keep 100% of the money raised from sale of wares, foods, non-alcoholic beverages, raffle items, and charitable donations. Sister Cities Essex Haiti and Hôpital Albert Schweitzer will also be present at the Rotary Global Collaborative World’s Faire. At the Faire, Sister Cities Essex Haiti and Hôpital Albert Schweitzer will showcase their efforts in rural Deschapelles, Haiti. Sister Cities Essex Haiti was established in 2010, shortly after the devastating earthquake, by members of the Essex community who had previously traveled to Haiti. 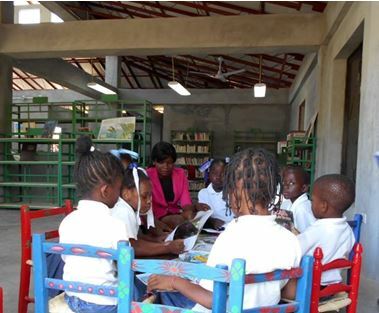 Children enjoy reading together at the Deschapelles Community Library. It now supports a community library designed by Essex architect Hope Proctor, a tennis program, a music program and an Early Education Teacher Training program. Hôpital Albert Schweitzer was founded in 1956 by Gwen and Larry Mellon, parents of Essex resident, Jenifer Grant. The full service hospital serves over 300,000 people in its 610 square mile district, and it has outreach efforts with four health centers in the more rural mountainous areas, a reforestation program, and a wells and water program to provide potable water. Both organizations have been beneficiaries of Rotary support, as well as broad support from people in this area, and are delighted to be invited to participate in this Faire. 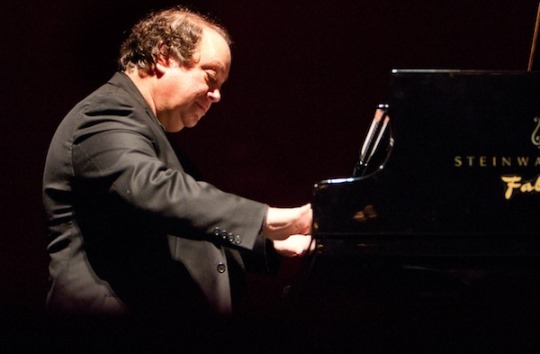 CHESTER – Internationally acclaimed pianist Jeffrey Swann will perform at the Chester Meeting House on Sunday, Nov. 6 at 5 p.m. in the 43rd season of the Collomore Concert Series. Swann’s performing career has taken him throughout the United States, Europe, Latin America and Asia. After pursuing his graduate degrees at the Juilliard School, where he studied with the renowned Beveridge Webster and Adele Marcus, Swann came to the piano world’s attention winning first prize in the Dino Ciani Competition sponsored by La Scala in Milan and a gold medal at the prestigious Queen Elisabeth Competition in Brussels. Other top honors include the Van Cliburn and Chopin Warsaw Competitions, and the Young Concert Artists auditions in New York. In addition to presenting recitals worldwide, Swann has performed in this country with the symphonies of Cincinnati, Pittsburgh, Seattle and Minneapolis and worldwide with the orchestras in Rotterdam, La Scala, Rome, Prague and London. Swann is a noted musical lecturer. The depth of his musical knowledge and his enthusiasm for teaching often leads him into spontaneous discussions of the music he is performing, much to the delight of his recital audiences. He continues to lecture regularly at the Wagner Festival in Bayreuth, Germany, and at Wagner Societies in the United States and Italy. Swann has also served as judge at many competitions, most recently at the Utrecht International Liszt Competition. Since 2007 Jeffrey Swann has been Artistic Director of the Dino Ciani Festival and Academy in Cortina d’Ampezzo; since 2008 the Adel Artist-in-Residence at Northern Arizona University; since 2010 Professor of Piano at New York University; and since 2012 Artistic Director of the Scuola Normale Superiore Concert Series in Pisa. At the Chester Meeting House, Jeffrey Swann will perform the Schubert Sonata in G Major and Beethoven Sonata No. 29 (Hammerklavier). After the concert, stay for the reception with refreshments donated by The Wheatmarket, to meet the performer. Tickets cost $25 for adult; $5 for student. Tickets can be purchased online at www.collomoreconcerts.org using PayPal. The Chester Meeting House is at 4 Liberty St., in Chester. For more information, check the website or call 860-526-5162. 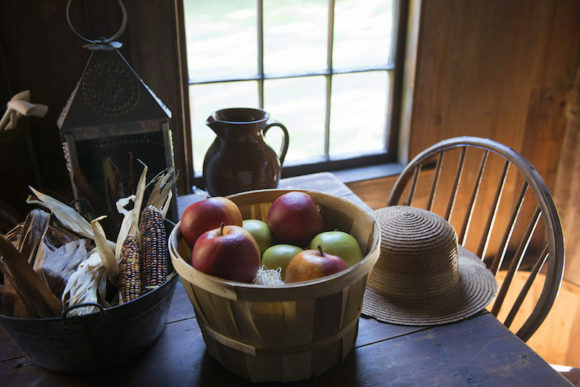 Bushnell Farm, the 22 acre, 17th century site in Old Saybrook will be open on Nov. 5, from 11 a.m. until 4 p.m. with autumn activities that reflect the seasonal rhythm of daily life at this Valley-Shore farmstead. The event at 1445 Boston Post Rd. is free and open to the public with on-site parking. To celebrate the end of this campaign year, there will be Election Day cake in the oven of the 1678 farm house and demonstrators will be pressing apples for cider outside. Visitors can hear about the vast differences between Connecticut elections in colonial times and today. The Bushnell family would be busy processing their apples, corn, vegetables and butchered beef into stores that could be preserved for the winter, so there will be several examples of food preservation taking place. The weaver in the Loom House will be working as will the blacksmith in the Forge. Visitors can take a wagon ride around the Farm and stop near the Grove that is home to an Indian wigwam and there will be opportunities to compare and contrast their fall preparations with those of their English neighbors. 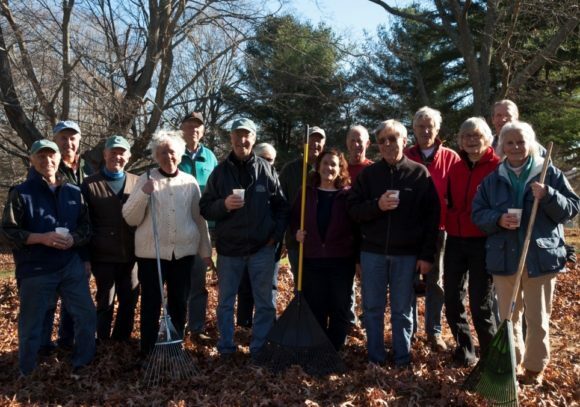 Bushnell Farm is owned by Herb and Sherry Clark of Essex and is open to the public for seasonal events. The site is used for school programs, Scout campouts and for the Connecticut River Museum’s Summer Camp. For further information, call the Curator at (860) 767-0674. DEEP RIVER — The First Annual Tri-Town Veteran’s Day Parade will kick off on Saturday, Nov. 5, from Devitt’s Field in Deep River at 1 p.m. followed by a ceremony at the Memorial Green on Main Street. All Veterans are encouraged to join the parade. Black holes are regions of space from which nothing, not even light, can escape because gravity is too strong. They form from the most massive stars or at the centers of galaxies. When the contracting matter in a black hole reaches extremely high densities, the quantum mechanical property of elementary particles called spin turns gravitational attraction into repulsion (torsion). The matter stops collapsing, undergoes a bounce like a compressed spring, and starts rapidly expanding. Extremely strong gravitational forces at the bounce cause an intense particle production, increasing the mass inside a black hole by many orders of magnitude. The region on the other side of the black hole’s event horizon becomes a new, growing universe. Accordingly, our own Universe may be the interior of a black hole existing in another universe, with the Big Bang being replaced by a Big Bounce. Forbes Magazine has called Dr. Poplawski a potential future Einstein for his theory that every black hole is a doorway to another universe, one of the top 10 discoveries of 2010. Dr. Poplawski has appeared on television’s Discovery Channel and Science Channel. This program is free and open to all. For more information or to register, call the Library at (860) 767-1560. The Essex Library is located at 33 West Ave. in Essex. CHESTER — The Chester Garden Club’s 18th Annual Tea will be held on Saturday Nov. 5, at 2 p.m. at the United Church of Chester, 29 West Main Street, Chester. Come for an afternoon of musical entertainment as the Valley Shore a Cappella, a Chapter of Sweet Adelines International, from Middletown, CT will entertain with songs from romance to rock and roll, show tunes and patriotic melodies, all are sung in the barbershop style, four- part a cappella harmony. The tea menu will include savory sandwiches, scones with clotted cream and jam, as well as an assortment of delectable desserts that will be served by members. Proceeds from this event support the Garden Club’s civic and education efforts in the local area. Tickets are $25 and seating is limited to 100 guests. To make reservations, send name, address, telephone number with ticket requests, payment and a stamped, self-addressed return envelope to the Chester Garden Club, P.O. Box 415, Chester, CT 06412. For additional information, contact Chester Garden Club Co-President Brenda Johnson, 860-526-2998. CENTERBROOK — A special Italian wine tasting and a lively game of Italian cheese rolling will take place on Saturday, Nov. 5, at 7 p.m. at Angelini Wine Ltd., in Centerbrook with proceeds to benefit scholarships and outreach programs at Community Music School. This event is presented by Guilford Savings Bank and includes a guided tasting of fine Italian wines and hearty hors d’oeuvres. Guests will test their bowling skills with a little friendly competition in a rousing party game of cheese rolling, a tradition in many parts of Italy. Over the past few years, Community Music School has partnered with Angelini Wine to present unique benefit events that blend the arts with intimate guided tastings offered behind the scenes at the Angelini warehouse. Guilford Savings Bank joined as presenting sponsor in 2014 and Shore Discount Liquors is also on board as a partner this year. What is cheese rolling, anyway? It’s a hilarious Italian game similar to bowling… but with a wheel of Pecorino! Come join the fun, either on the sidelines or in the middle of the action — the winner takes home the cheese! Led by Julius Angelini and Ron Plebiscito, the tastings allow guests to sample high-end wines, learn about the process of wine making, and ask questions of the experts. Tickets are $65 per person and are available at Community Music School’s business office or at www.community-music-school.org/cheese. For more information, call 860-767-0026 or visit www.community-music-school.org/cheese. 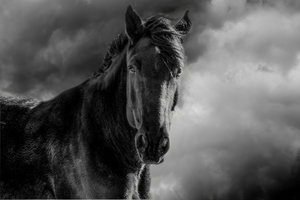 Black Beauty by Elin Dole is the signature photo of the photo exhibition at Maple & Main. CHESTER — A diverse selection of exceptional photographs is being shown during November in the Stone Gallery. The work of members of the Connecticut Valley Camera Club are on display from Wednesday, Nov. 2 through Nov. with a reception Friday, Nov. 4 from 5:30 to 7:30 p.m. The opening party is also part of the town-wide First Friday initiative so when you come to town that evening expect many galleries and shops to be open with special offerings. Maple and Main Gallery, at One Maple Street, is open Wednesday and Thursday from noon to 6 p.m.; Friday and Saturday, from 11 a.m. to 7 p.m. and Sunday from 11 a.m. to 6 p.m. Mapleandmaingallery.com; 860-526-6065; visit us on Facebook and Instagram. CHESTER — The Meeting House Players will present John Cariani’s witty, romantic comedy “Almost Maine” early November in the Meeting House, 4 Liberty Street, Chester. Directed by Debbie Alldredge, the production will be performed Friday and Saturday, Nov. 4 and 5, at 8 p.m.; there will also be a 2 p.m. matinee on Saturday. “Almost Maine” is a series of nine romantic vignettes, set on a cold, clear midwinter night in the mythical town of Almost, ME. As the northern lights drape across the night sky, the residents of Almost find themselves falling in and out of love in unanticipated and often hilarious ways. For additional information, contact Deb Alldredge at TheMeetingHousePlayers@gmail.com or at 860-526-3684. CHESTER/DEEP RIVER — The second Chester/Deep River Solarize Workshop will be held this evening, Wednesday, Nov. 2, at the Deep River Town Hall at 7 p.m. This meeting is for anyone from either Town interested in learning about the environmental and financial benefits of solar. Artwork by Sally Rothenhaus is on display during January at the Estuary Senior Center. Sally Rothenhaus is a photographer and designer of unique photo gifts. Her photography journey began when she was 13- years-old and joined a photography club where she had access to a well-equipped darkroom and the technical and life wisdom of the other members who showed her how to ‘see’ in a way that extracts the interesting forms that are all around us, including in those places that are often overlooked. Her preferred subjects are the large and small details found in nature, and the warmth and history of old things and people. You can see these themes in her ‘Pressing the Ancestors’ pieces; art panels, birdhouses, and jewelry. ‘Pressing the Ancestors’ transfers your original images (without any harm) into the surface of metal panels that are beautiful and extremely durable. The panels can be enjoyed anywhere, including humid environments and can be easily cleaned with no harm to the panel. 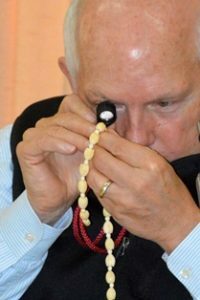 Putting those images on jewelry and other artifacts is a great way to take those stories with you and to share them with others. 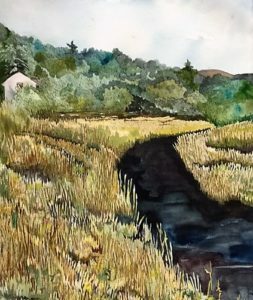 Meet Rothenhaus and tell her your stories at the Marshview Gallery Artist Reception on Friday, Jan. 13, from 5 to 7 p.m. at the Estuary Council of Seniors, 220 Main St, Old Saybrook. All are welcome. View her work online at www.cShoresal.com or photos.cShoresal.com. AREAWIDE — January brings new beginnings and a chance to “double down” on some good things as well. Literacy Volunteers Valley Shore (LVVS) features 50 percent off any cooking, gardening, self-help and exercise books in stock to help you keep those New Year’s Resolutions and the organization is continuing its “$5Bucks-a-Bag” promotion on specially selected books as well. The LVVS bookstore has a large variety of hardcover, paperback, and children’s books that include selections by well-known authors and topics. LVVS is located on the lower level of the Westbrook Library, 61 Goodspeed Drive. Book sale hours are Monday-Thursday, 9 a.m. to 2 p.m. and Friday from 9 a.m. until noon. Visit www.vsliteracy.org or call 860-399-0280. All book sales, promotion or otherwise, benefit the LVVS tutoring programs in English as a Second Language or Basic Reading. TRI-TOWN – The Tri-Town Substance Abuse Prevention Coalition will hold its next meeting on Wednesday, Jan. 18, at 9 a.m. at Tri-Town Youth Services, 56 High St., Deep River. The Tri-Town Substance Abuse Prevention Coalition is a grassroots organization whose membership is open to all who live or work in the tri-town area who are concerned about substance abuse and committed to its prevention. Many “sectors” of the community are represented on this council: schools, youth-serving organizations, law enforcement, government, civic groups, parents, students, the faith community and health care, to name a few. In Year 6 of the Drug Free Communities Support Program Grant, the Coalition will address Action Plan items for this year and will develop their Action Plan for next year. Future meeting dates for this year are March 8, 2017 and May 17, 2017. For further information, please call Tri-Town at 860-526-3600. Tri-Town Youth Services (TTYS) supports and advances the families, youth and communities of Chester, Deep River and Essex. TTYS coordinates and provides resources needed to make positive choices, reduce substance abuse, and strengthen the relationships that matter most. Discover programs and information for families, as well as opportunities for community collaboration at www.tritownys.org.